Nations Press feature news GOOD NEWS: Pres. Duterte promise Incremental Increase in AFP and PNP Salary by August! GOOD NEWS: Pres. Duterte promise Incremental Increase in AFP and PNP Salary by August! 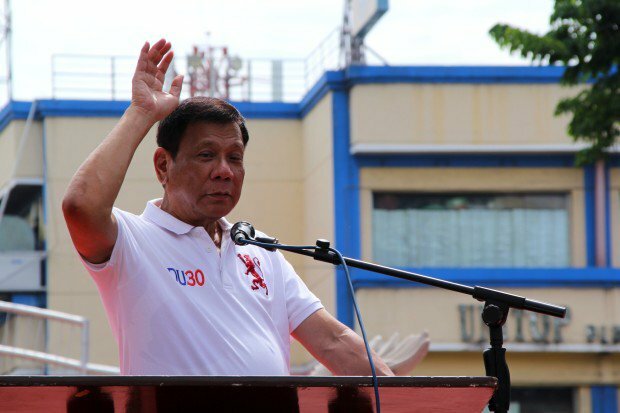 SPONSORED LINKS President Rodrigo Duterte on Tuesday vowed to provide an incremental increase in the salaries of state forces starting next month. “Starting next month, (may) incremental increase (na) sweldo niyo,” Duterte said in his speech before military and police forces here, receiving a loud cheer from the crowd. Duterte’s vow to increase the gross pay of personnel of the Armed Forces of the Philippines (AFP) and the Philippine National Police (PNP) was an integral part of his campaign during the May 9 elections. But in the proposed 2017 national budget, Budget Secretary Benjamin Diokno has said that the salary pay of state forces was not included. But Duterte was determined to fulfill his promise. “Nangako ako noon. Remember this, may budget na niyan; nangako ako dagdagan ko sweldo niyo (pero) wala sa budget. Sabi ko kay Sec. Diokno, mapahiya ako sa sundalo. Sabi ko you have to look for ways,” he said. (I already promised. Remember this, there was a budget for that; I promised I’d increase your salary but it wasn’t in the budget. I told Sec. Diokno I’d be embarrassed before the soldiers. I said you have to look for ways. )He said his promise to double the pay of AFP and PNP officials would be realized. “Pangako ko doblado, you will get it,” he said. “I assure you, walang nagmahal nun sa pulis na aabot sa standard ko (Nobody loves the police as much as I love them),” he added. The President earlier said that solving rampant smuggling at the Bureau of Customs (BoC) and an intensified tax collection by the Bureau of Internal Revenue (BIR) would save the government billions of losses from these illegal activities. This is one way which the President eyes to get the budget for the salary increase of state forces.